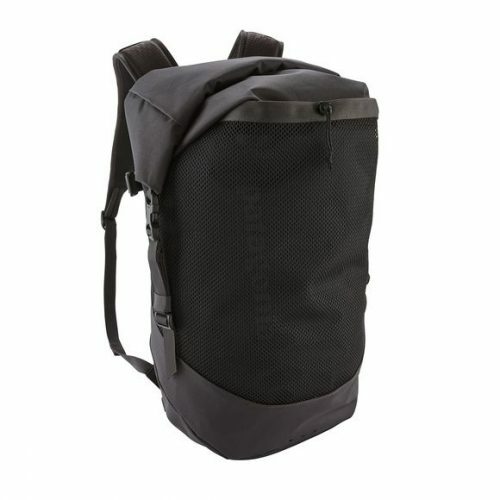 The durable, comfortable-to-carry Planing Roll Top Pack easily hauls wetsuits and other soaked gear while keeping your clothing, food and towels dry and organised. 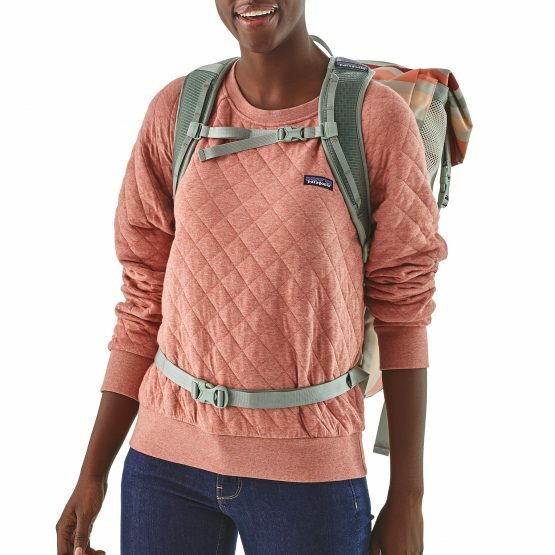 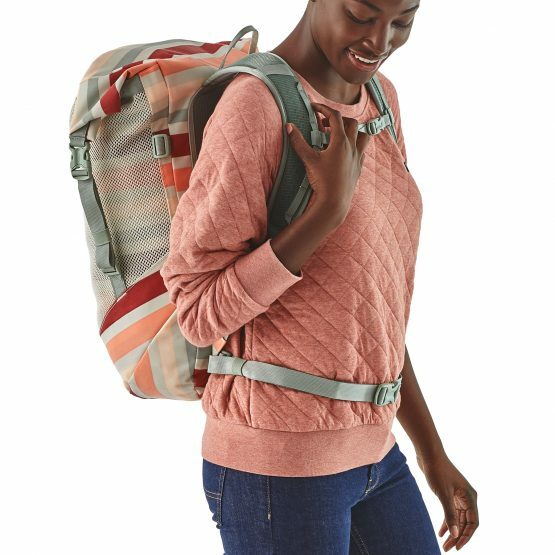 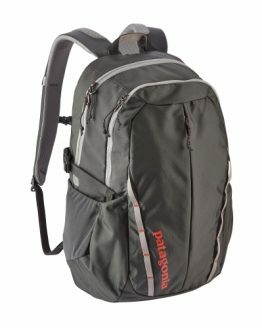 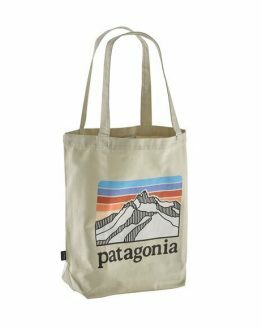 Patagonia Planing Roll Top Pack keeps wet and muddy goods separate from your dry, everyday essentials. 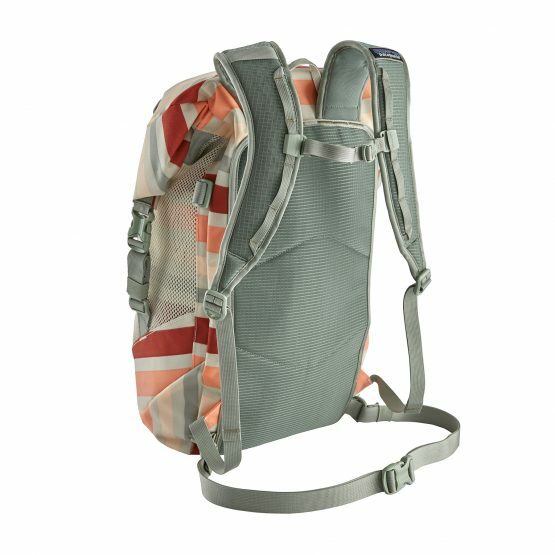 The easy roll top design lets you access your dry gear quickly (while keeping rain and moisture out) and compresses or enlarges to accommodate various-sized loads. 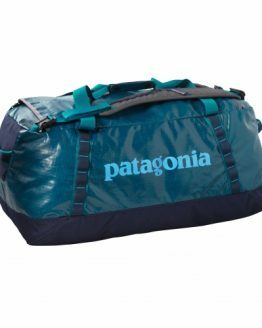 The main compartment has plenty of room for a full day and features a slick fabric lining that can be turned inside out for easy cleaning. 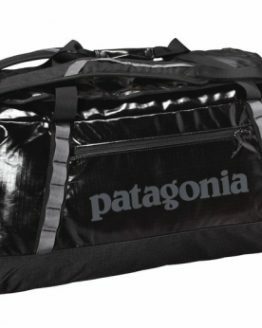 It also has seam taping throughout to keep out water and dirt and an internal zip-closing pocket for your keys and wallet. 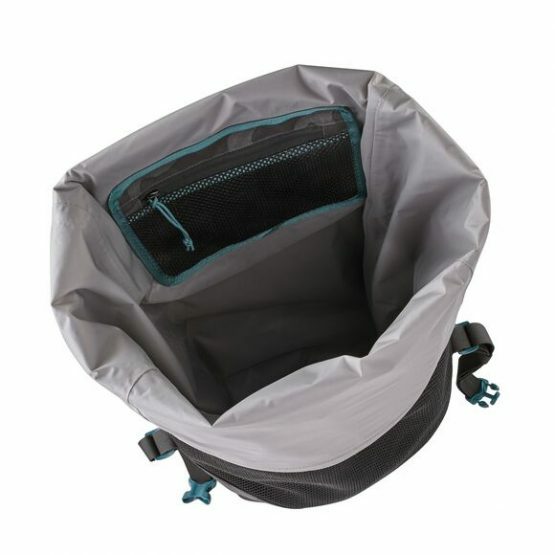 The large, external mesh pocket (designed to lay flat when not in use) carries your wetsuit, towels or waders and closes with an easy-access cinch cord; drain holes at the bottom of the pocket keep water from pooling. For all-day carrying comfort, the Planning Roll Top Pack has a breathable and hydrophobic shoulder harness, padded back panel and adjustable sternum strap and waist belt. 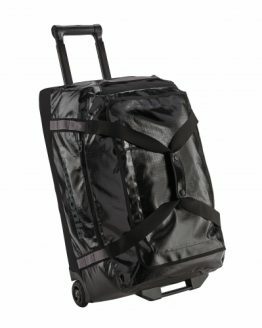 External lash points let you attach a surf board or any extra gear you need for the long haul. 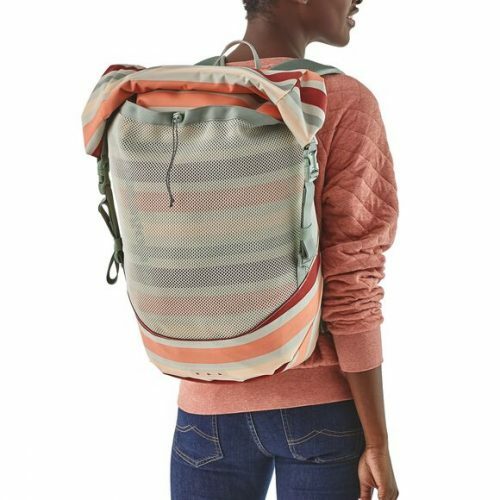 Made of a tough yet limber 300-denier, 100% recycled polyester with a TPU-film laminate and 100% nylon mesh.